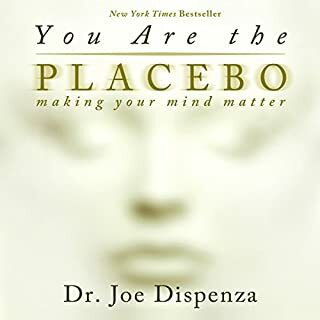 With that said, much of what he said about neuroplasticity and the placebo effect was somewhat correct, and perhaps quite useful to people who weren't already aware of it. There are certainly some ailments that can be affected positively by mental processes. Not nearly as many as he claims, but some. However, the biggest problem with this book is that ultimately his argument rests on his belief that "an intelligence" guides the body to heal (but only if you do what he tells you to do) in ways that are contrary to both common sense and to observable results. All of the examples that he cites of miraculous healings due to his techniques have the common features that the diseases were ones that were known to be psychologically influenced already (e.g. autoimmune diseases which can be influenced by stress). He is essentially saying that "God heals you, but only if you do what I tell you to", although he seems to dislike the word "God" and only vaguely refers to "an intelligence". This is not science: It is religion (and arguably heresy, from a Christian point of view anyway) since he seems to be claiming that God won't heal you unless you follow Dispenza's practices, thus basically putting himself in the role of a priest whose influence is necessary for God to be wiling to heal you. He is also fond of asking leading questions ("Could it be that all we need to do to heal ourselves is to think properly...?") and implying that the answer is "yes" without presenting evidence that this is the case. This is a classic flimflam technique known as innuendo. Another of his favorite forms of argument essentially implies that you can get to the moon by climbing successively taller trees. Overall, although there are many interesting things in this book, I can't recommend it. Too many wild claims, not enough solid evidence, and a poor understanding of what scientific evidence even is or means. If you want to read a book that covers many of the same topics with a solid scientific background (and much more limited claims, but ones that are actually backed by evidence), try "The Body Keeps The Score" by Bessel Van Der Kolk. I really enjoyed this one. Great characters, an interesting and complex plotline, and well performed by the voice actors. Looking forwards to the next one! I can’t say I really enjoyed this book. 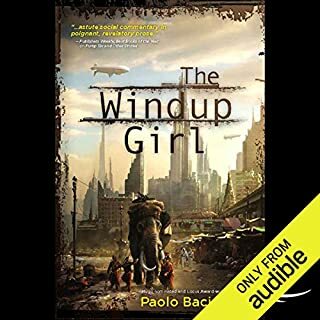 It was well-written, and obviously very thoughtful, but I had a hard time empathizing with most of the characters (most of whom were quite dislikable in one way or another) and the overall storyline was, in a word, “bleak”. It was interesting in many ways, and at some level I’m glad I read it, but I don’t think I’ll be recommending it to my friends. Too depressing. The vocal performance was very well done, however. I found this to be one of the most enjoyable short stories I have encountered in recent years. A beautiful, thoughtful piece, and excellently performed. 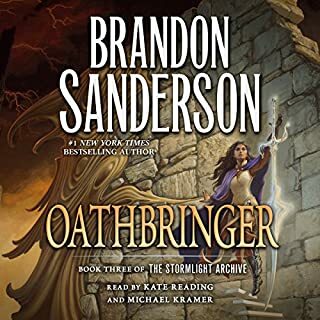 I originally chose it because of its connections to Brandon Sanderson's Cosmere books, and specifically to Elantris, which takes place on the same world. However, there seemed to be very little connection to either in the story itself: the story is essentially self-contained. Nonetheless, I really enjoyed it , and I recommend it highly. 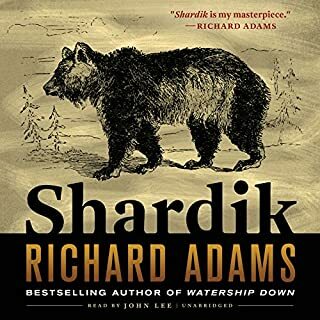 Shardik is a fantasy of tragic character, centered on the long-awaited reincarnation of the gigantic bear Shardik and his appearance among the half-barbaric Ortelgan people. Mighty, ferocious, and unpredictable, Shardik changes the life of every person in the story. His advent commences a momentous chain of events. Good, but not as good as I hoped. I absolutely loved Watership Down, and I was hoping that I would enjoy this as much (on hearing the author say it was his best work). I was a bit disappointed. It was a very different type of story, and it was missing some of the warmth and camaraderie that characterized Watership Down. The story was quite dark in many places, and there was little lightheartedness to be found anywhere else in it. As an agnostic, I suppose that some of the story's religious allegories were less important to me than they might have been to someone who was deeply religious. I could see the points he was making, but the questions he spent so much time trying to answer were not ones that occupy my mind much. Still, it was a well told story. 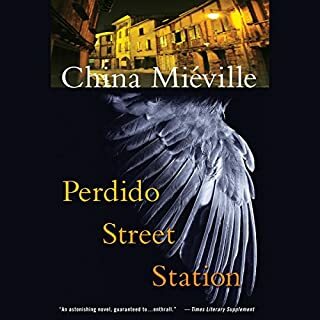 I have really liked some of the reader's other work (his reading of China Mieville's work for instance), but his reading of Shardik seemed in some places to be tonally at odds woth the work itself. A bright, clipped, cheerful English accent seems out of place when the subject matter involves depression, battlefields, or other kinds of darkness. I would have liked the reading more if the tone of the reader had more closely tracked the tone of the work as it was read. With that said, I enjoy this reader very much in general, and I think he does a very good job overall. Enjoyed it more than I expected. 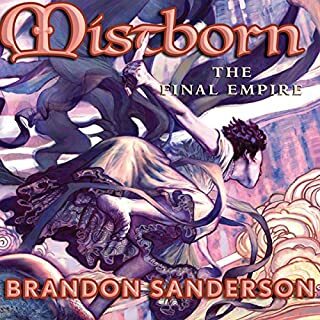 There were certainly some aspects of this story that were a bit clunky, such as the heavyhandedness of some characterizations, and the excessively detailed descriptions of the magic system, but I found the plot and universe quite interesting, and the story took some turns I didn't expect. Overall, a fun read. Michael Kramer did an excellent job of narrating. I have heard many people say good things about this book, but I have to admit I found myself disappointed. Firstly, I found that it was really very, very slow-moving. 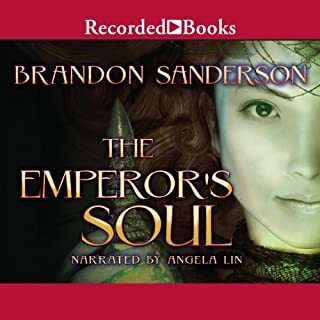 There were many points where the author seemed to descend into meaningless details that to me did nor advance either the plot, atmosphere, or characterization, and I eventually found myself listening to it in a grim desire to finish it and be done rather than out of a sense of enjoyment. I had heard people speak highly of the author's insights into human nature, but all too often he seemed to make grand proclamations arbitrarily that seemed to me to have little evidence behind them, as if by declaring them with confidence he somehow made them true beyond question. Also, a great deal of the novel seemed to involve religious people behaving abysmally but then declaring how much better they were than people who were nonreligious and therefore supposedly had no morals at all. This felt more like religious propaganda to me than real observation of human nature. 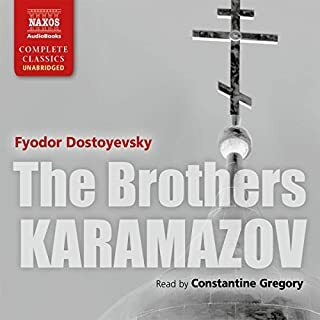 I found that I actively disliked most of the characters other than Alyosha, who was apparently so perfect that he could do no wrong (and hence not really very realistic other than a plot device). Overall, I was disappointed. The vocal performance was pretty good overall, although some of the dialog and characterization (especially by children and women) seemed artificial and unnatural, although to some degree this was probably the fault of the translation. This was a stunning, strange, original, unpredictable, and beautiful novel, and one of the most original novels I can recall reading. The atmosphere of the city and its denizens, and the many surpsurprising twists and turns of the narrative kidney guessing until the very endI will definitely be reading more by this author. Also, I found the performance by John Lee to be excellent. His characterization of the voices of the various characters in particular was very well done, and well-suited to the book. A fine story, full of action. Seems a bit cliched by today's standards, but of course it was groundbreaking for its time, and had a huge influence over the science fiction that followed. Characterization is a bit thin. A few too many shortcuts are taken on description - a lot of "ultra"s and "unimaginables" and "inconceivables" (I don't think that word means what he thinks it means), but overall, fun, and with a nicely credible villain who isn't an idiot. The vocal performance of this book was OK, but not great. 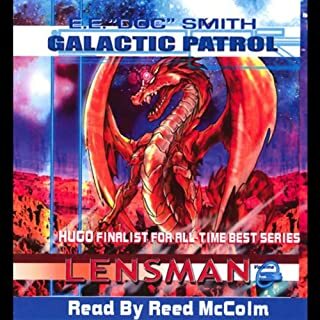 He stumbled over some of the more tortuous phrases, which was distracting, and the consistent cringeworthy mispronunciation of certain words (most notably "Aldebaran") was likewise distracting. I think it's important to read even technobabble smoothly, since the characters speaking it would presumably know what it means, even if the listener doesn't, A few of the character voices were a bit grating. Still, a decent job, and most of the time I didn't really think about the vocal performance, which is good.